Collage made by Michel Moneagle as part of the contents of Carmen Beuchat´s dossier. It has parts of the three pieces she presented at the Washington Project for the Arts. 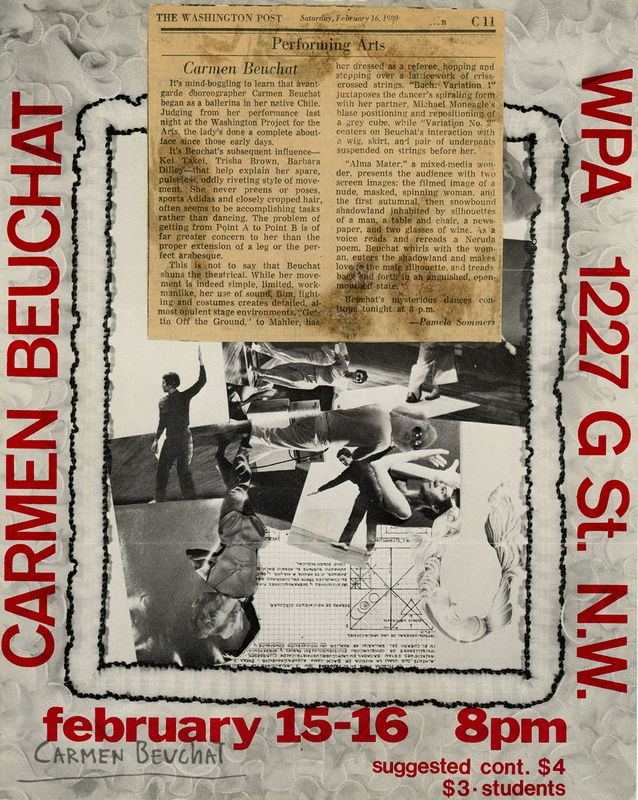 It is made with the poster created for the occasion and a press cutting from the press publication “Performing Arts: Carmen Beuchat” by Pamela Sommer that appeared in the Washington Post on February 16 1980. Physical Description: Color priint-out on couché paper 21,7 x 26,9 cm., with pieces of printed paper stuck on.